Here’s their press release – it isn’t dated but was published prior to the last week of January 2019. Under the agreement, the committee will coordinate standards development activities for the global cannabis and hemp industry while ICCI, based in the Czech Republic, will gain benefits such as recognition of its technical contributions and free temporary membership to its members. 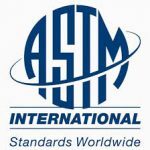 ASTM International previously signed similar agreements with the Foundation of Cannabis Unified Standards (FOCUS), the American Herbal Products Association (AHPA), and the American Trade Association of Cannabis and Hemp (ATACH). Stakeholders involved with the two organizations say they are prioritizing a cannabis cultivation standard followed by standards related to cannabis cosmetics as well as food supplements and extracts. ICCI’s involvement will also strengthen the committee’s collaborative efforts in medicinal and laboratory-related standards too.